The Occupy Wall Street movement named the core issue of our time: the overwhelming power of Wall Street and large corporations— something the political establishment and most media have long ignored. But the movement goes far beyond this critique. 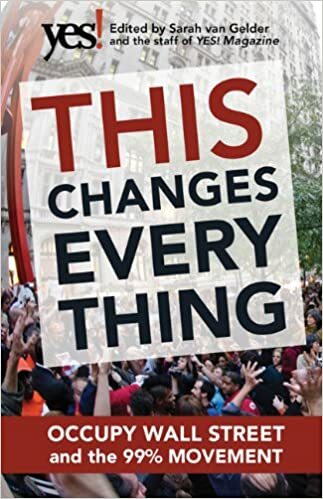 This Changes Everything shows how the movement is shifting the way people view themselves and the world, the kind of society they believe is possible, and their own involvement in creating a society that works for the 99% rather than just the 1%. Attempts to pigeonhole this decentralized, fast-evolving movement have led to confusion and misperception. In this volume, the editors of YES! Magazine bring together voices from inside and outside the protests to convey the issues, possibilities, and personalities associated with the Occupy Wall Street movement. This book features contributions from Naomi Klein, David Korten, Rebecca Solnit, Ralph Nader, and others, as well as Occupy activists who were there from the beginning, such as David Graeber, Marina Sitrin and Hena Ashraf. It offers insights for those actively protesting or expressing support for the movement—and for the millions more who sympathize with the goal of a more equitable and democratic future.